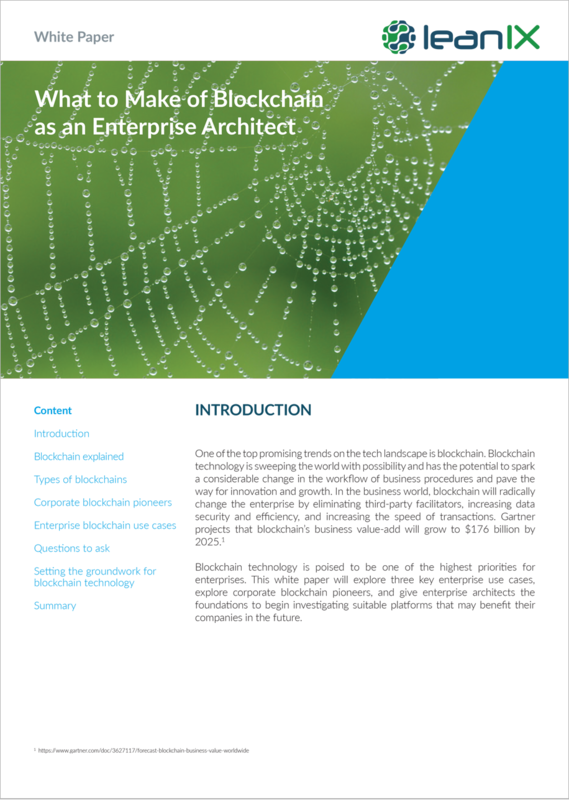 This white paper will explore three key enterprise use cases, explore corporate blockchain pioneers, and give enterprise architects the foundations to begin investigating suitable platforms that may benefit their companies in the future. One of the top promising trends on the tech landscape is blockchain. Blockchain technology is sweeping the world with possibility and has the potential to spark a considerable change in the workflow of business procedures and pave the way for innovation and growth. In the business world, blockchain will radically change the enterprise by eliminating third-party facilitators, increasing data security and efficiency, and increasing the speed of transactions. Gartner projects that blockchain’s business value-add will grow to $176 billion by 2025. Blockchain technology is poised to be one of the highest priorities for enterprises.